For those of you who dont know... I am the Product Manager for the newly introduced Network Probe Gen 2. After seeing many, and quite often the same, questions being asked since Network Probe Gen2 launched last week, I felt that now is a good time for me to create an FAQ for all things related to Gen2. This is not intended to replace, or even be an alternative to, the Official Docs (Click here to read those! ), but more so something to supplement the information that is already out there. If, after reading this, you still have some questions - or would like further detail on any existing content, then PLEASE reach out to me on Slack (@martynkeigher), or just reply to this post. After I answer each new question - I'll move them into the FAQ, so they don't get lost. Q1: I’ve just update to [Automate 12] Patch 10... am I on the latest and greatest now? Yes and No. While you are on the version that introduced Network Probe Gen 2, you must also ensure that the ‘ConnectWise Network Detection’ solution is kept up-to-date, via the Solution Center. Q2: I’ve just updated to [Automate 12] Patch 10, updated to Gen2, and I cannot see my ESX hosts (For Virtualization Manager)! Why is that? Q3: Can I update all my probes to Gen2 with an ‘easy button’? No. There is currently no feature, or future-plan, to mass-update all your probes Gen2. Q4: So… with the new probe, I can upgrade as I go? It doesn't upgrade all my probes when I update to Patch 10, does it? Installing Patch 10 will not auto-upgrade your Gen1 probes to Gen2. You can upgrade your probes at your own pace. Q5: As soon as I enable a Gen2 probe, a discovery scan immediately starts. I’d rather configure some settings first, and then manually start the discovery scan. How would I do that? Network Probe defaults was also introduced in Patch 10. They can be found under System > Configuration > Network Probe. If you do not want you probes to immediately scan, adjust the default scan windows to something like… 10pm (start time) & 3am (end time), or alternatively, set the Scan Frequency to On-Demand. Q6: I’m in the middle of converting all my Gen2 probes… How can I keep track of my Gen1 and Gen2 probes? Q7: I just built a bunch of new Detection/Collection templates. Are they still honored? Yes. They will still be honored. Q8: I don’t like Gen2 and all its new, cool awesomeness!! Can I roll back to (or re-install) a Gen 1 probe? No. Assuming you are on at least Patch 10, once you have promoted a Gen1 probe to Gen2, or just installed a Gen2 probe, there is no rolling back to Gen1. Q9: So… What’s this I hear about a new discovery method(s)? It’s been brought up, but never actually broken down & explained. Explain it for me? The 1st check is NETBIOS. This checks to see if port 139 is open. This gives us a ‘Missing Device’ count. The 2nd check is a SNMP check against the device to determine its MAC address. The 3rd (and optional) check is the ARP Table scanning. This is not enabled out of the box but can be enabled via the Network Probe Setting, ‘Enable MAC Address Scanning’. NOTE: Just like with the old Gen1 probe… A MAC Address is required to uniquely identify the device - if the probe cannot determine a MAC address, then it will not create a Network Device. Q10: When you say “SNMP Check” … what do you mean? If we can communicate with a device using SNMP (community string) we walk the device’s MIB for 2 specific OIDs (Object Identifiers) to obtain the MAC. If this check does not return a MAC address, then we will not create a Network Device entry for it. Check 2 (returns my MAC address - and the one that will be used in the networkdevices database table). Q11: I heard something about the Network Probe being more focused around the location… Can you elaborate on that? During pilot, we re-worked how the probe is associated to the location, and now the location has more of a role to play for Network Probes. This was a huge undertaking, and ‘laid the groundwork’ for implementing many other enhancements already on the roadmap. A good use-case that this solves for today is when a probe agent stops functioning, and cannot be brought back online, e.g. : a BSOD. Should a probe agent become unrecoverable, then you can now elect a different agent to be a probe at the same location, as the settings are now tied to the location and not the agent itself, so the new probe will ‘pick up where the old one left off’. Q12: We haven't used the network probe much until this release and it's bringing up some questions now. So, should we be enabling SNMP on almost all networking devices? For best results with Gen2 you must have SNMP enabled on SNMP compatible devices. Doing that will set you up for success. No doubt about it!! From Automate’s perspective… You can’t really say you are ‘managing devices’ unless you have SNMP connectivity to them! Q13: The new network map is cool, but it doesn't show nearly everything the probe sees. Is that normal? On Automate 12 Patch 10 (build 451), minimum. On at least v1.1.1.6 of LTNet, (distributed in 'ConnectWise Network Detection' via Solution Center). Communication to the device, via SNMP, is returning the MAC Address. 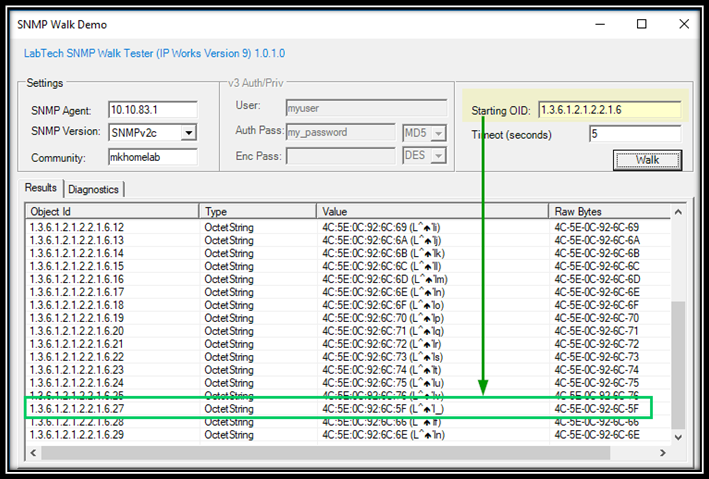 SNMPv3 is still an option with the new Network Probe. You can configure that at a probe level. We recommend that you set that if all your devices, that are configured for SNMPv3, are using the same authentication/encryption passwords and methods. Q15: I'm seeing more devices in my network device list and my computers list then I am seeing on my network map. Any idea what I may be doing wrong? Q16: Thoughts/process on… ‘Nuking’ my current Gen1 probes and configs (never really got into it) to setup the new Gen2 stuff? Any ‘best practices’ around this? Q17: I disabled the network probe on this agent but now it's saying I can't retire it, because the network probe is enabled!? Why is that? The ‘Disable Probe’ command is a database focused command, so the Control Center may not acknowledge the change until you ‘Reload System Cache’ & then refresh the Computers view. probeconfiguration (& many other probe**** tables). Do you have any updated documentation on how to use the new probe? We've upgraded the probes on in our Automate, however, now when I try to run network probe commands (Scans or re-detects) nothing seems to happen. The Probe Commands windows doesn't show anything either. I used to be able to force this with the old one. Has that changed? Is anyone else having issues with the new probe not picking up vsphere servers? We have deployed at 2 clients purged devices and redetect and it seems like it skips them. I can see in the plugin_vm log where it is trying to use the vsphere credentials against devices but not the actual vsphere servers it needs to detect. It seems to be skipping them and they don't show up anywhere. We can ping them from the probe machine. Got a ticket open with support. They said we had to enable SNMP on the vsphere host. I am not 100% sure this needs to be done but we did anyway. Still did not work. I can SNMP walk the device from the probe server and get to the ESX OID's listed from above. I can confirm the behaviors @avdlaan describes: scans/re-detections don't actually seem to be running when I attempt to trigger them manually, and my Probe Commands window remains empty even after attempting to initiate a scan or re-detection. Following the steps outlined here for upgrading from Gen1 to Gen2, I purged network devices from a probe for a selected client, then deactivated the Gen1 probe. When I re-activated and went through the Gen2 wizard, the probe functionality returned, but none of the options to perform manual actions appear to be working, and the Probe Commands window is empty. I have tried initiating a rescan via the "Play" button on the Device Discovery pane in the Overview screen and also tried via Commands > Probe > Initiate Network Scan and Commands > Probe > Run Device Detection. I also ensured the probe scan settings were set to have Only run discovery in scan window = UNCHECKED. I want to make sure I'm not missing something regarding manually initiating scans/re-detections, as well as the Probe Commands window appearing blank. Finally, I am interested in finding out what benefit we gain from activating the MAC Address Scanning feature? I have seen the documentation reviewing how it fits into discovery as the optional third step. But I haven't been able to determine what that third step of scanning the MAC addresses actually accomplishes. Is it enabling some new functionality? Does it allow more reliable agent push to detected devices? We face multiple client probes (Gen1 and Gen2) in which devices are mis-detected (Windows desktops appearing as "Manufacturer = Roku" or "Manufacturer = Apple, Inc.") or simply not allowing agent install (multiple VM servers at one client, for instance). If enabling MAC address scanning will remedy one or more of these situations, that's a strong argument for turning it on. If it is intended to perform some other function ... what might that be? Yeah mate, we are having the same problem. Lenovo (IBM) servers at the moment. I think they are both 6.7 if I recall what my guys said. No fix I am aware of. I finally got support lined up to talk to today. The servers I am trying to pick up are 6.5 u1 and 6.5 u2. Talked with support. Shame on me for not trying - but they had me check the box on the probe computer. On the network probe, settings, Scan tab. Check the Enable MAC scanning. (What JosefNT mentioned above) I did this, restarted the agent, initiated a scan and they are now being detected. By turning this on it basically turns on the old probe 1 scanning functionality. It uses the MAC address table from the ARP cache on the probe device for building the network device list. I was told the reasoning for not having it on was the old probe picked up things you could not manage. Their take was if you can't manage it why have it in there. I am looking at it a little differently. I want to see it even if I can't manage it so I don't miss something. I am leaning toward just checking the box and being done vs having to enable SNMP on all my servers. That would be a ton of work for my team for no benefit. If someone has a different take or thinks I am missing something, let me know. Glad it worked for you. Unfortunately that doesn't work if the probe is not in the same subnet as the esxi server, so for us, no dice. I have decided to turn Mac address scanning on everywhere, because like you, I don't want an automate distorted view of what's there, I want what is really there. I can see why the MAC thing would not work for remote subnets. I forgot to add - the tech told me that Patch 12 has some fixes for the new probe - we are implementing that this weekend. He also said they were having issues where if you did not have SNMP enabled on your switches - it could possible cause issues with detection as well. sounds strange but that is what they are telling me. Hopefully the new patch fixes the remote stuff but not sure. I asked support but figured I'd post here also. In the Gen 2 probe it looks like there is only one checkbox, Enable Remote Agent Deployment. The docs at https://docs.connectwise.com/ConnectWise_Automate/ConnectWise_Automate_Documentation/070/175/120/030 say it will try to install the agent when a PC is next scanned. Is there any way to allow (only) the manual push via password (commands/probe/deploy Automate agents) or has that essentially been removed in favor of automatic push? We have typically either manually pushed, or set up a domain login script to install the agent if we want it automatic. That way it isn't trying to install on any other devices on the network, third party PCs, etc. Edit: Disregard my question. I was pointed to Deployment Manager. I had seen Deployment Manager a while back and then totally forgot about it since it essentially duplicated the probe feature. Interesting it still refers to its settings as “probe” which is apparently not related to the gen 2 probe. Anyone having the problem where the deployment manager says "Device failed deployment readiness checks"? Password doesn't have any special characters either. Not sure if anyone has run into this issue before? Seems to be happening accross all our gen2 probes. Big fan of the Gen2 probe. So good work. I've got one question about monitoring snmp or Collecting SNMP info using emplates. Hope you can give me an example so I can use it in my search to knowledge because there's no info on the documentation site from Automate. A Walk on the firewall shows me a ton of information but the information has a lot of variables. So there's no static OID to monitor. There's a Index table showing me indexing numbers for the next tables. The next table is the name table. Relating to the index above. The next table is the Status. Also relating on the index above. Is there a way to do this: Look for the name in the Name table. Find the index related to this name, find the status related to the index. 3 Find status from this value with the related index. I guess this should be able with the SNMP Collection Templates and Sub Procedures. However..... how?